Men's Club is held every Wednesday with fun activities and various trips throughout the year. The Salvation Army in Massena is here to provide assistance in many forms and referrals other agencies/community groups for additional assistance. Whether it be food, rental assistance, utility assistance, emergency shelter or clothing and household items for many occasions, The Salvation Army is here to help. The officer and administrative assistant meet with each client and work with them to develop problem solving plans, and make referrals to other local agencies. The Salvation Army in Massena operates an Emergency Food Pantry for community members in need of assistance. Clients are able to receive help every 30 days and choose the items they will use in their kitchen from our Client Choice Pantry. Each family receives enough for three meals per person for five days. The Emergency Food Pantry is open Monday through Friday from 9am to 12:30pm. Evening hours are available by appointment, as needed. The Free Bread Room at The Salvation Army in Massena is available every Monday, Wednesday and Friday from 10:30am - 11:30am. Clients receive free perishable bread products and a small amount of other donated food items. This program is made possible by donations from Price Chopper, Hannaford and JCEO. LACE Circle is our Women's Group that meets every Wednesday at 6:30pm. All ladies are encouraged to attend for a fun evening working on crafts, taking trips in the community, learning new skills, learning about the world around us and Bible Study. Larger trips are taken throughout the year such as Women's Camp at Long Point Camp, shopping in Watertown and other events. Men's Club meets every Thursday at 10:30am. All men are encouraged to attend for fun time bowling, doing community service and projects around the church or just for a cup of coffee or ice cream cone. The Men’s Club offers fellowship with other men in the community and the opportunity to make lifelong friends. Men's Camp at Long Point Camp, Divisional Bowling Tournament and other trips are taken throughout the year. Bible Study is held on Tuesdays at 6:30pm in the Fall and Spring. Bible Study provides the opportunity to explore themes in scripture and specific study of Books of the Bible. Lessons utilize a combination of videos, reading and questions for discussion. Financial assistance is available to prevent evictions or utility shut offs. Clients must call The Salvation Army office to make an appointment. Appointments are provided when funding is available. 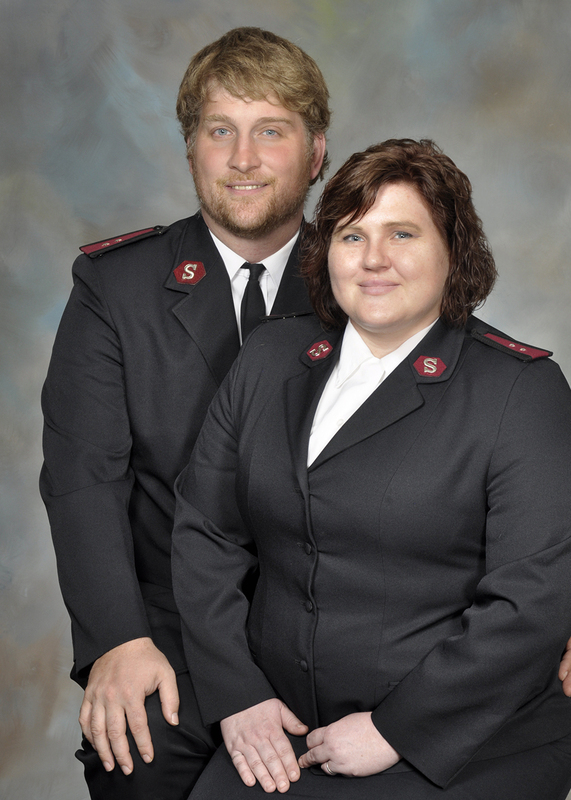 In order to receive financial assistance, each client is required to complete budgeting class at The Salvation Army. Each client will create a functioning budget and complete a follow up three months after receiving assistance. Budgeting helps each family/household to do the best with the income they have. Funding from the United Way of Northern New York and additional funders is used for the budgeting course and financial assistance. The Salvation Army Thrift Store is the second hand store run by The Salvation Army. The Salvation Army Thrift Store is open Monday through Saturday from 9am to 5pm. Donations may be brought to 210 North Main Street, Massena, NY, Monday through Saturday from 9am to 4pm. There is a limit of 2 large boxes/bags of clothing and 4 large boxes/bags of household items per day. All donation may receive a receipt for tax purposes. All donated clothing is sorted, priced reasonably priced and sold to the community. Every dollar spent in The Salvation Army Thrift Store stays local to help the Greater Massena Community. On the last Friday of every moth The Salvation Army holds the teen club for ages 12-21. With movies, games, community service, and fun with teens from the area. Thanksgiving and Christmas Food Baskets are provided, as well as toys and clothing for children ages 12 and under. Over 250 people were able to have brighter holidays due to the generosity of our donors. Back to School backpacks and school supplies are also distributed. Salvation Army officers, soldiers and volunteers visit and hold services for the residents at two nursing homes in Massena last year. Each resident is provided a gift at the holidays.